The top 12 MLQ team will converge on Madison, Wis. this weekend for the fourth annual MLQ Championship. 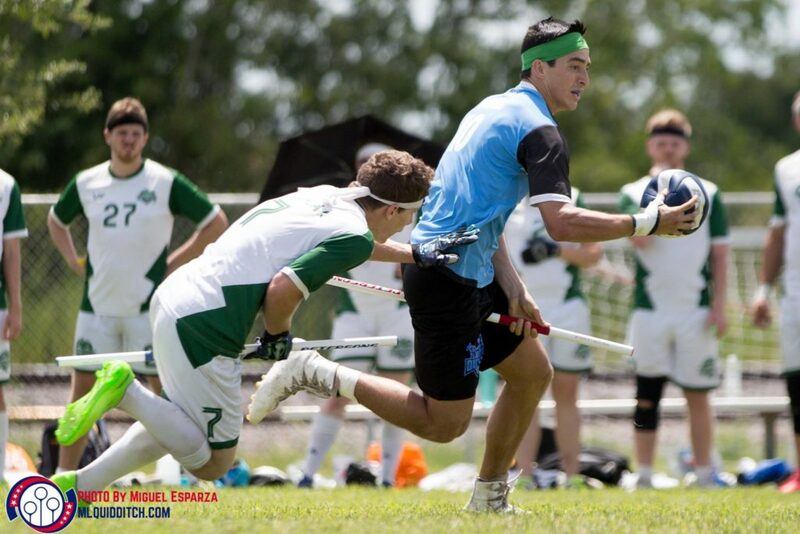 Unlike last season, the two marquee teams, the Austin Outlaws and Boston Night Riders, are on opposite sides of the bracket, making a rematch of the 2016 MLQ Championship not just likely but highly-anticipated. However, there are 10 other teams looking to take the Benepe Cup to their home cities. Let’s see how the quadrants are divided. It’s likely that Quadrant One is the most cut-and-dry section of the bracket. The Night Riders enter the 2018 MLQ Championship as not only the clear favorite to move to the Final Four, but also to take back the Cup. The Night Riders feature a group of six US National Team players fresh off a gold medal run at the IQA World Cup complemented by Leeanne Dillmann, Mario Nasta and Teddy Costa, three players ready and eager to prove they should have been considered among the best 30 players in the world. Expect this combination to enter the competition focused and ready to do whatever it takes to reclaim the Benepe Cup. At the bottom of the quadrant, we have a nine-player Salt Lake City Hive. Expect the Kansas City Stampede to make quick work of that series matchup and save their key pieces for Boston. Earlier this season, the Stampede were able to match the Outlaws for stretches of their series, but were unable to put a complete game together to even keep the Outlaws in-range. Still, they have top-level talent at each position capable of matching Boston’s first line, but the lines that follow will have to step it up for Kansas City in order to have a shot. Look for the beating combination of David Becker and Rachel England to play big minutes; the longer they can be effective against whoever ends up as Boston’s second line will be the key to Stampede’ success. Ultimately, this half of the bracket—which includes Quadrant Two—belongs to Boston. They are too deep and talented for any team on this half to do more than keep them in-range for brief bouts. It is likely Boston will not be truly tested until the final on Sunday night. All three teams in Quadrant Two could feasibly emerge from this section and face Boston in the semifinals. The Detroit Innovators versus New York Titans matchup is far and away the best series in the first round; whoever comes out of that series should be the favorite to earn a trip to the Final Four. The thing standing in the way of Detroit or New York is fatigue. The Los Angeles Guardians’s biggest advantage in the quarterfinals will be that Detroit or a short-handed New York had to play two to three grueling games to get there. The Guardians are a solid team this season but nowhere near their level of last season. There is not a team in MLQ who could take the roster losses they took and still have championship aspirations. In fact, many teams would not have a winning record after losing a first string keeper (Duran Allison) their most valuable chaser (Vanessa Goh) and their top four beaters. These roster losses do not count Los Angeles out but make the Guardians’s path to the Final Four the steepest of any No. 1 seed. Los Angeles still boasts a very talented beating line led by players such as Duc Tran, Max Portillo and Andrew Burger. Last year’s West Division MVP Justin Fernandez is still formidable at both keeper and chaser. Most importantly, the Guardians still have depth at seeker and chaser. The problem is that–outside the four players mentioned–they are missing a lot of the top-end talent which heavily contributed to the Guardians success last season. This year, both Detroit and New York match up well against the Guardians. Each should be able to dominate Los Angeles in the quaffle game while holding even with their beaters. Detroit will look to dominate the Guardians with their trio of big keepers Chris Barnard, John Smutny and David Prueter making drives over and over again. New York will look to play more of a long-range offense. Keepers Shawn Hazlett and JC Arencibia are able to make mid-range shots consistently and without the length of Allison, the Guardians will find their defense overstretched. Both Detroit and New York have beaters to match Los Angeles at the top of their rotation as well as plenty of talent to keep up the level of play for a series. The game will really come down to the quaffle play. For Detroit look for rookie JD Hopton to shine on both sides of the ball while veteran Michael “Yada” Parada will be tasked to do the same for New York. However, Detroit still has a big Achilles heel: the team has not found their seeker. They have a few who have celebrated the hot hand here and there, but none have been consistent enough to rely on. New York, on the other hand, is vulnerable because they enter this championship overall untested; they have just not played a team on their level this season. They were able to handedly beat the Ottawa Black Bears and Washington Admirals, while—in the absence of Arencibia and Parada—being overall outplayed by Boston. Detroit and–if they make it–Los Angeles will be tests that will prove the mental fortitude of a team who has not felt much pressure this season. This quadrant features teams with a lot of firsts this season. Starting at the bottom, the sweetheart of MLQ, the Black Bears, are entering championship weekend with their first series win in the team’s history. This is only their second time competing at the MLQ Championship and the first time Ottawa has done so via qualification. The League City Legends will be facing an interesting challenge—competing for a national title outside of their home city for the first time in team history. The Legends have been the most surprising team at the past two championships. They are not the only team to take a win from a No. 1 seed, and the Legends even boast a 3-5 record against No. 1 seeds. It will be interesting to see if they can continue their impressive performance in Madison, Wis. The last team in this quadrant, the Rochester Whiteout, secured their first divisional title this season. This ensures them a first-round bye and the opportunity to watch League City and Ottawa battle it out on Saturday. 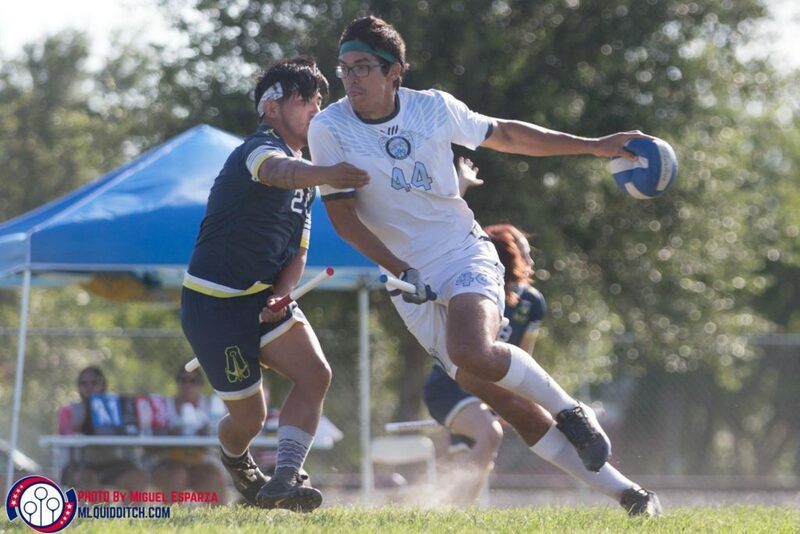 Despite impressive regular-season scores and a slew of talent, Rochester has never finished past the quarterfinals at the MLQ Championship. This year they will play their first games in the quarterfinals. The extra rest, along with the ability to scout their opponent, should be more than enough to push Whiteout over this quarterfinal hump. Rochester is the clear choice to make it out of this quadrant. In the semifinals they will likely face a rematch from last year against Austin or their divisional rival, the Indianapolis Intensity. However, if any team stands in the way of Rochester, it is the Legends. They can play even with Whiteout in the quaffle game—League City has a bevy of chaser like Stephen Freeman-Virgil, Hayley Rutledge, the Freeman brothers and Kevin Tran who canmatch Rochester in physicality and athleticism. Their series will absolutely be one to watch as League City will try to push another No. 1 seed out of the semifinals and Rochester looks to earn their first trip. If the Whiteout are able to make their debut in the Final Four, the Austin series should be the most intriguing. Last year, Austin, on paper, handily beat Whiteout in two games. Whiteout were missing three of their most valuable players in that series: Jon Jackson, Basem Ashkar and Shane Hurlbert, all of which are on the roster this time around. The team has also added a strategically-gifted beater in Perry Wang and seeker Mike Pascutoi. All this adds up to a much more equipped Rochester who played solid against the Outlaws for large stretches of their 2017 MLQ Championship series. This quadrant features both 2017 MLQ Championship finalists, plus the San Francisco Argonauts. With nine members of the US National Team, it is no surprise that the Outlaws are the favorites in this quadrant. However, this is by no means an easy draw for the Outlaws. As the Indianapolis Intensity look to have a finals rematch in the Elite Eight, the San Francisco Argonauts will be looking to turn some heads in their series against the Intensity. The Argonauts have an uphill battle to fight if they expect to play in-range with Indianapolis. While lacking in depth, the Argonauts will have to heavily rely on Sam Harris’s playmaking and will need other role players such as John Vong and Andrew Covel to have breakout performances in the quaffle game. With Allison switching positions to join Elsa Lem at beater, the Argonauts unseasoned beater core will have their hands full against the Intensity’s deep beater rotation. Look for the Argonauts to try and control the pace of the game and to keep it as low-scoring as possible. If they can manage to stay patient on offense and prevent Indianapolis from making too many transition points, they might just be able to force a snitch-range game and steal a win. However, this is Intensity’s series to lose. With a deeper and more-talented beater rotation and a more-proven chaser line, the Intensity will be relying on Andrew Axtell and Nathan Digmann to get out in transition and push the pace of the game. It would take a lot for the Argonauts to take a game from Indy, let alone the series. Expect Intensity to win this series 2-0. As mentioned, if Indianapolis defeats San Francisco in the first round, we are looking at a 2017 MLQ Championship finals rematch: Indianapolis against Austin. With Augustine Monroe returning from a separated shoulder injury, look for Joshua Andrews and John Anderson to be picking up some extra minutes at keeper. This series also has arguably the most interesting beating matchup of the day, boasting two of the deepest beater rotations in MLQ: the Outlaws’ Bailee Fields, Hallie Pace, Jackson Johnson, Taylor Tracy and Ryan Nawrocki face off against Intensity’s Erin Moreno, Crystal Jones, Tyler Walker, Jeremy Hoffman and Tad Walters. Expect this to be a fast-paced and physical series as the Intensity look for redemption and the Outlaws look to defend their title.